Imagine, if you will, a powerful robotic-limbed appliance with a human inside wrapped in 3D printed and cultured protective tissue. It’s capable of lifting enormous loads, and the human operator within can be repaired using the latest in bioprinting technology and materials. It may well happen sooner than later, and a deal announced by a group of Japanese firms points the way forward. Cyfuse Biomedical and Cyberdyne signed a $12 million deal to develop and market the Regenova 3D tissue printing system. Cyfuse Biomedical, the Japanese developers of a 3D printing process which can produce human tissue using a novel, robotic process, just raised 1.4 billion yen ($12 million USD) from investors who include robotic-human appliance developers, Cyberdyne Inc and a larger group of investors. Cyfuse says they agreed to sell an undisclosed stake in their operations to a dozen Japanese investors, among them medical-device manufacturer Shibuya Kogyo Co. and health information provider M3 Inc.
Cyfuse is the developer of Regenova, a robotic-controlled 3D printer they created with Shibuya Kogyo. The device turns living cell aggregates into artificial human tissue, and both companies say the tissue cultures will soon be used to test new products – and might eventually be used to construct human organs from an individual’s own stem cells. The CEO of Cyfuse, Koji Kuchiishi, says the Tokyo firm is looking forward to a startling future where bioprinting takes primacy in medicine. Kuchiishi, a former McKinsey & Co. consultant and Panasonic engineer, founded Cyfuse in 2010 with regenerative medicine researcher Dr. Koichi Nakayama of Saga University and Kyushu University. At this stage, Cyfuse sells 3D printing systems to Japanese universities for research purposes for around $0.5 million a piece and the firm plans to begin selling them outside the Japanese market later this year. The company has, to this point, raised a total $16.5 million with it’s system which can print cartilage and subchondral bone, tubular tissues such as blood vessels, digestive and urinary organs and even miniature livers. It’s said that venture capital firms Jafco Co. and University of Tokyo Edge Capital Co. participated in the funding, and Cyfuse will use the capital to build its sales force and fund clinical trials of the Regenova machine. The device uses cultured cellular aggregates called ‘spheroids’ which are place on fine needle arrays. The spheroid cells then form a connected, macro-level structure over time without the use of collagen or hydrogel, the building blocks of current methods. Composed of tens of thousands of cells per spheroid, the cultures are placed in a “bioreactor” for days or weeks where aggregation takes place to create the 3D tissues. Cyfuse says this method enables circulation of the culture medium and oxygen until tissues are mature enough to no longer require it, and that it’s capable of producing “thicker and more elastic tissue” than current processes. How soon do you think the future of 3D printed human tissue will arrive? 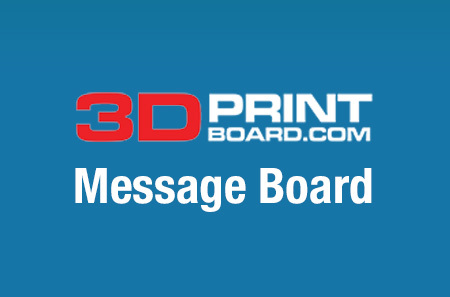 Let us know in the Cyfuse and Cyberdyne forum thread on 3DPB.com. Tagged with: 3d printed human tissues • 3d printed organs • Cyberdyne • Cyfuse • Cyfuse Biomedical • Dr. Koichi Nakayama • Koji Kuchiishi • Kyushu University • Regenova • Shibuya Kogyo • University of Tokyo Edge Capital Co.